Several weeks ago we compiled information from many state Departments of Ag about the number of official dicamba-related cases that are currently under investigation in 2017, and also provided estimates from university weed scientists about the number of soybean acres injured in their respective states. 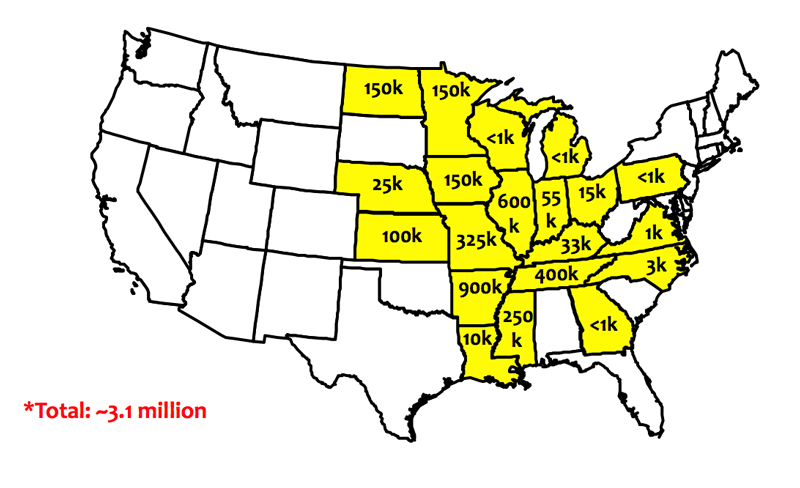 In that article, Ag Industry, Do we have a problem yet?, we reported that there were 1,411 dicamba-related injury investigations being conducted and about 2.5 million acres of soybean estimated with dicamba injury. Because there was still a lot of spraying that was occurring in the Midwest at the time, those maps were out of date the moment they were published. In reality, we will likely not know the extent of dicamba damage until the end of the season, but Figures 1 and 2 provide some updated numbers as of August 10th. 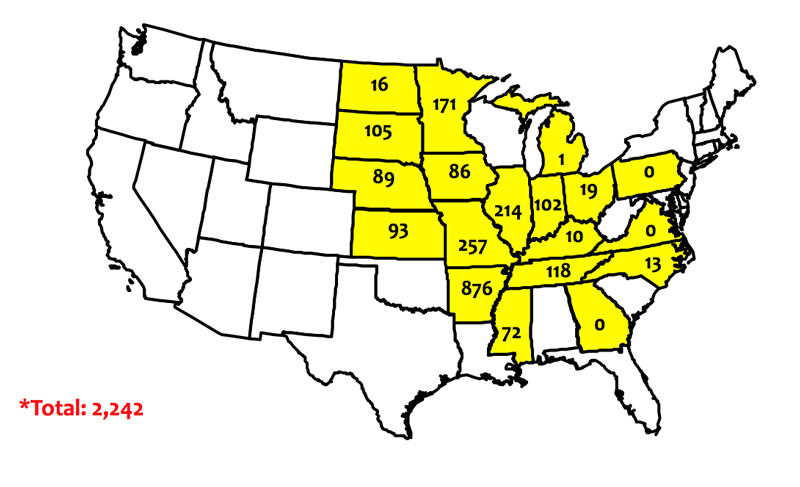 In comparison to the previous reports from just a few weeks ago, the number of cases under investigation in many states in the Midwest has at least doubled, and the soybean acreage estimated with dicamba injury has increased dramatically in many of these same locations. Figure 1. Official dicamba-related injury investigations as reported by state departments of agriculture (as of August 10, 2017). Figure 2. Estimates of dicamba-injured soybean acreage as reported by state extension weed scientists (as of August 10, 2017). Copyright © 2019 - Curators of the University of Missouri. All rights reserved.DMCA and other copyright information. Published by Division of Plant Sciences, 52 Agriculture Lab, Columbia, MO 65211 | plantsciences@missouri.edu | 573-882-3001.